Lazy 8 | RV There Yet? The year was 1951. The month was November. 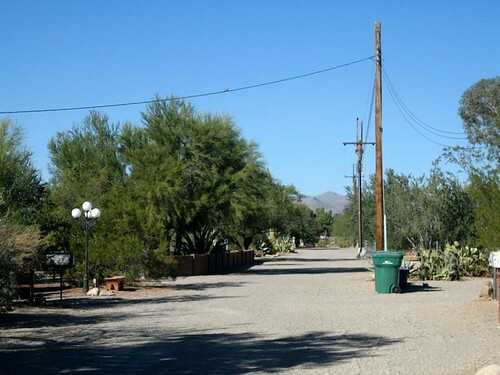 My grandparents, Louis and Marion Wood, had arrived in Tucson, Arizona. Leaving behind a lifetime of friends and family, they had set out from beautiful Vermont and headed West following Louis’ diagnosis of tuberculosis. Maybe they were excited about the warm climate and the adventure of it all, but I think probably they were more saddened to be saying good-bye to the only home they had ever known. I don’t know much about those early days as Gramma and Louie settled in Tucson. I know Louie got better and soon had a job at a hardware store. I know they would hitch their little trailer to their car and drive to Vermont every couple of years to reconnect with their family. (See, it’s in my blood – this RV’ing thing!) They began to build a life there in the desert. And eventually, along with 7 other couples (transplants like themselves, no doubt), they purchased a 10 acre plot on the outskirts of the city. 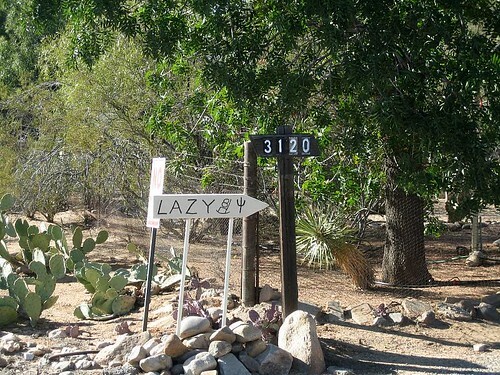 Naming their community “Lazy 8”, each couple began developing their own section with trailers and sheds and landscaping. 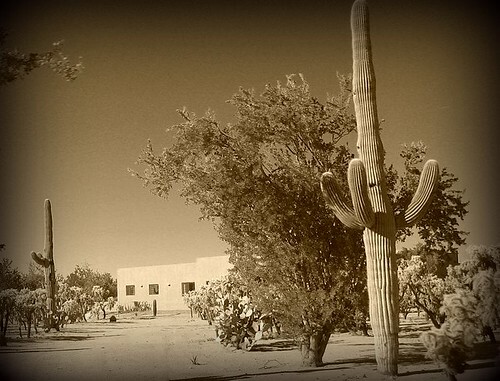 We never made it out to Tucson. It was too expensive for our family of 6 to fly there and there was never enough vacation time for us to drive. 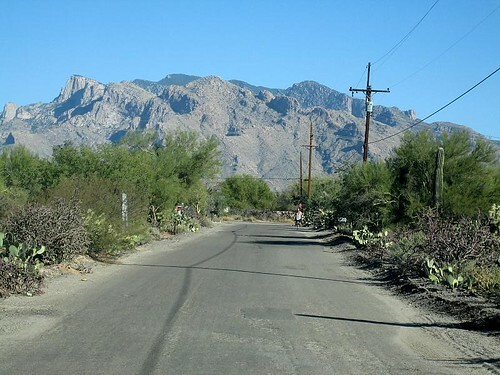 But almost every year, when I would open my birthday card there would be a little note inside (along with the two crisp dollar bills) saying how they would always remember my birthday because they had just arrived in Tucson when they got word that I had been born. Gramma and Louie lived there at the Lazy 8 until the early eighties (the year after their 60th wedding anniversary, I think) when Louie passed away in his sleep after a morning of gardening. Gramma moved East to live with my aunt, and our Tucson connection was done. Gramma Wood died in 1997 – just months before her 100th birthday. We drove down this little private lane with eight beautifully kept single wide trailers. If anyone had been outside I would have struck up a conversation, but sadly no one was about. The homes were modest, but every one of them was groomed to perfection. I wish I had known which home had been Gramma and Louie’s. If I had I certainly would have been bold enough to knock and say hello. But it was really enough for me to drive into that small community and see this place that had been my grandparents’ home for twenty-five years. To see what they would have seen when they pulled onto Lobo Rd. To better imagine what their life might have been like so far away from the life they had always known. What a very good day. Previous PostThe ArtistNext PostHow do you say that again? What a wonderful adventure and story!